Swollen by a storm, a creek surges beyond its banks, devastating a business, ruining inventory, chasing employees, flooding office space and more. A home’s water heater bursts and, in just hours, soaks flooring, carpeting, wallboard, appliances, everything below knee level. The deluge is stemmed only after a neighbour sees a curious sight: water leaking around the front door. Water unleashes awesome power and destruction in many different ways across every geography. Few of those affected anticipated the devastation or the difficult aftermath. Paul Davis, a company very experienced in restoring properties affected by severe flooding, helps customers across Canada confronting leaking or frozen water lines or pipes, overflowing appliances and fixtures, backed up sewage and septic tank lines, heavy rain or storms, and even flood-stage rivers, creeks or shorelines. Storms and their effects on bodies of water are increasingly to blame for flooding. 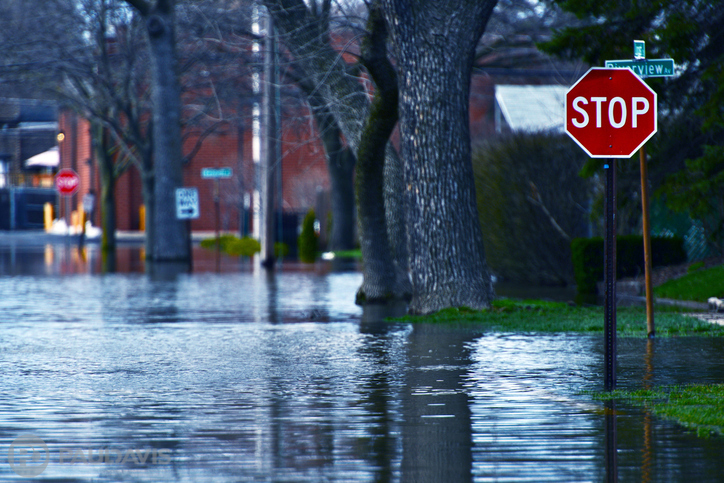 A recent study by the European Academies’ Advisory Council found that, around the globe, floods and extreme rainfall occur 50 percent more often than just a decade ago and four times more often compared to 1980. Completely protecting the health and safety of workers and residents throughout response and restoration. Experienced crews use personal protective equipment and anticipate potential hazards such as asbestos and lead paint. They deploy special procedures to handle unusual circumstances such as animals that became trapped during flooding. Locating and, if applicable, repairing the source of flooding. Assessing water damage. This assessment is multi-faceted and designed to identify even hidden damage as well as areas at risk for further damage. Extracting water from affected areas or performing a “flood cut” that removes, restores and/or replaces materials below the flood level. Thoroughly drying areas to specified levels and verifying dryness through scientific measurements and proprietary technology. Cleaning and restoring possessions such as clothing, linens, books and documents. Remediating and preventing damage from mould and mildew. Reconstruction of all affected areas.